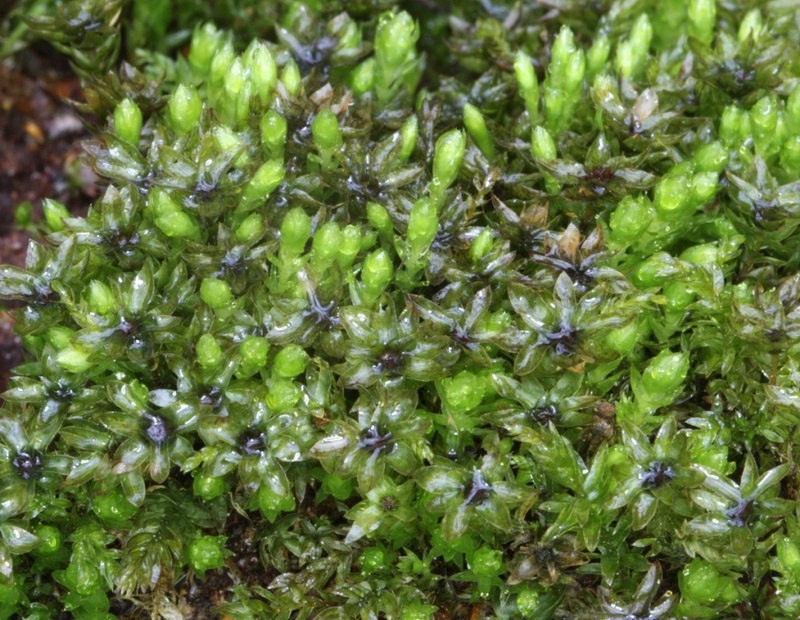 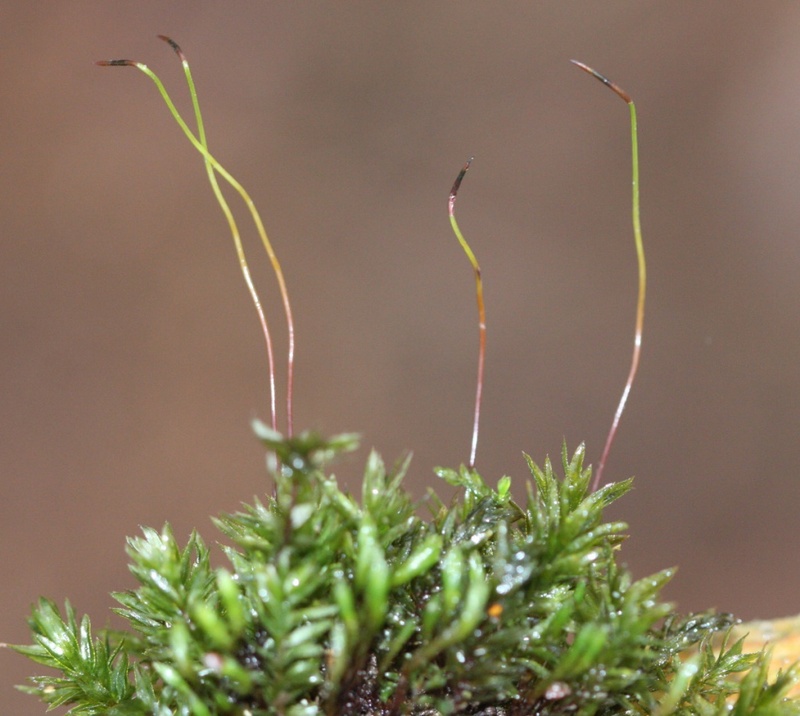 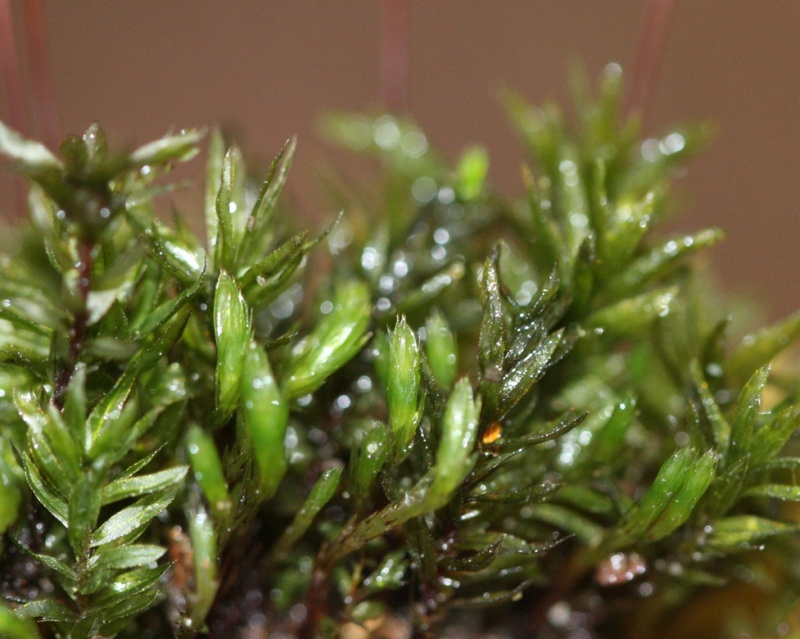 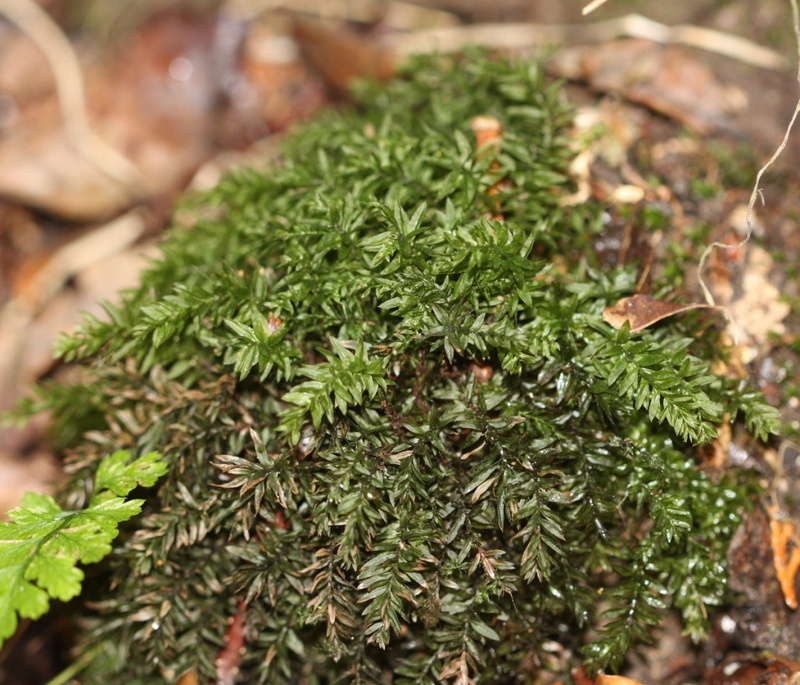 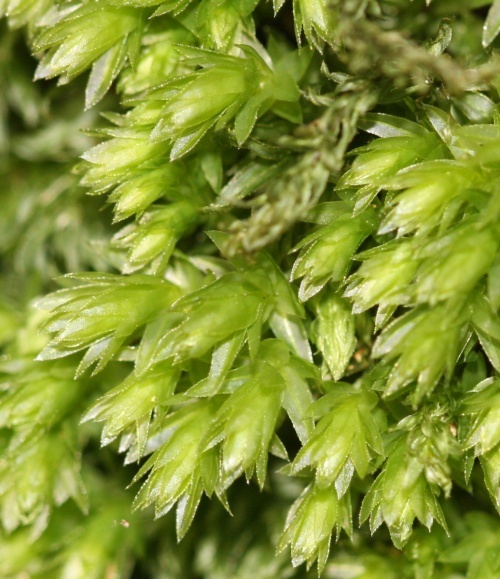 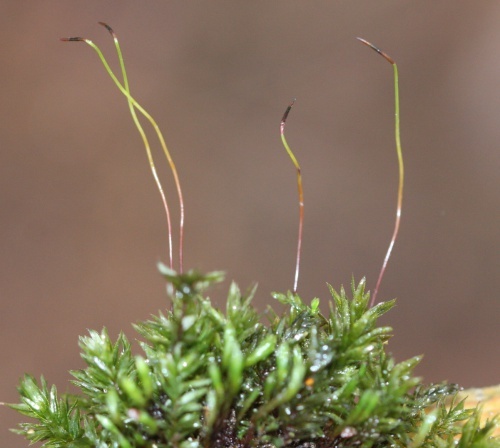 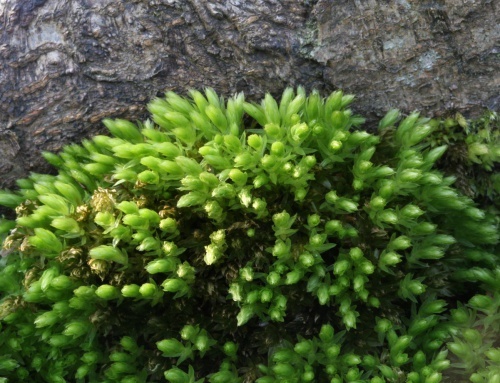 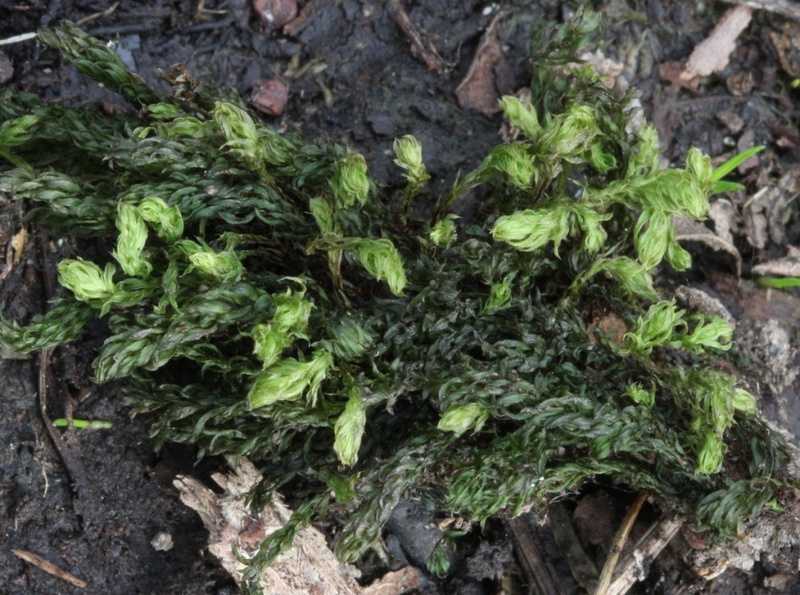 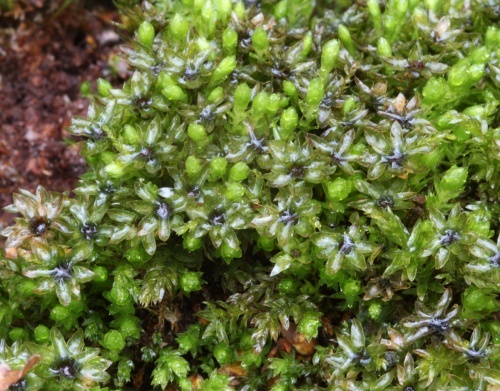 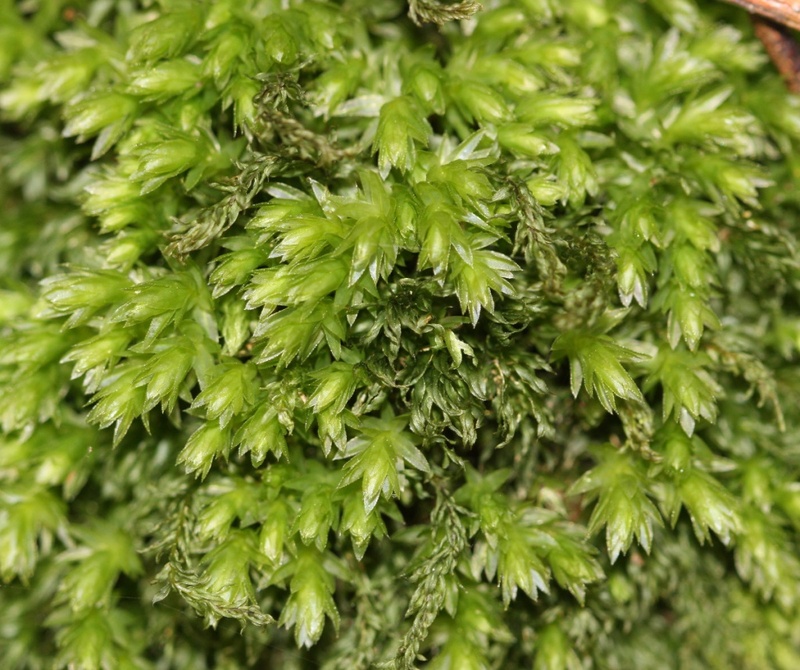 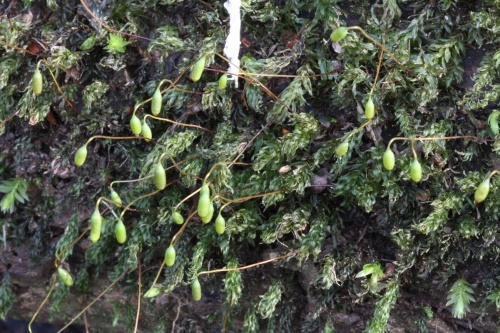 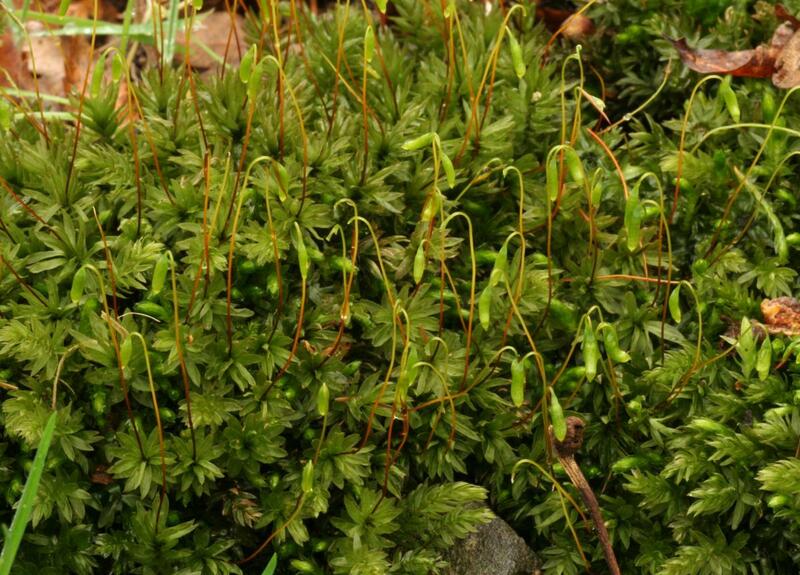 This dark, dull green moss is the commonest species of the genus and one of Britain’s commonest mosses. 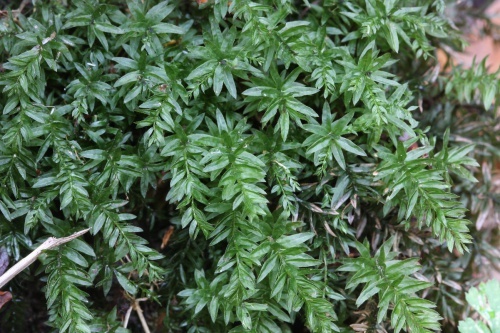 The upright stems are 2 to 4 cm tall. 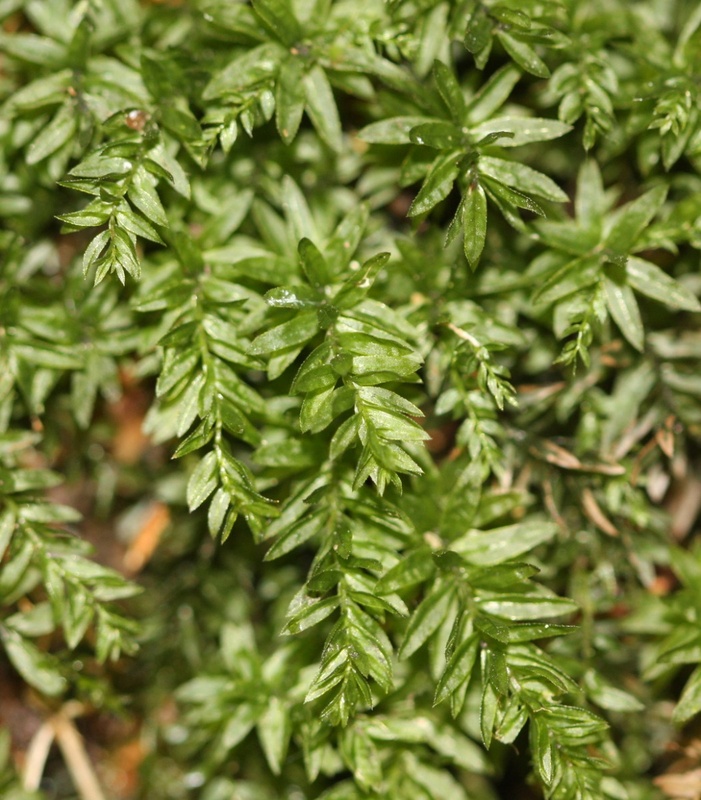 Leaves are typically about 4 mm long, but can be as long as 8 mm towards the tip of the shoot, and have a toothed border of long, narrow cells. 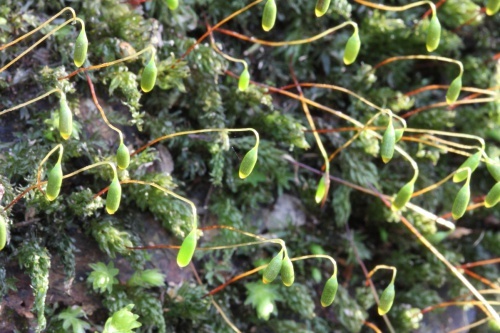 The nerve usually ends a little below the tip of the leaf. The leaf base at most shortly runs down onto the stem. The lower part of the stem has small, narrowly triangular leaves (the two leaves on the right in the upper drawing). Capsules (5 mm long) are frequently produced and the lid narrows abruptly into a very short point. 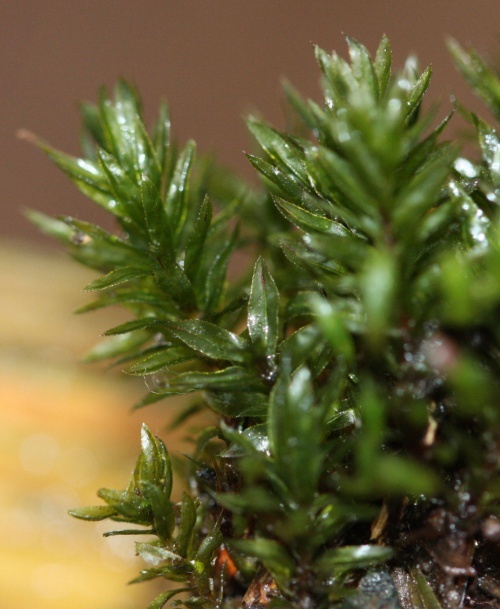 The seta is 2.5 to 5 cm long. 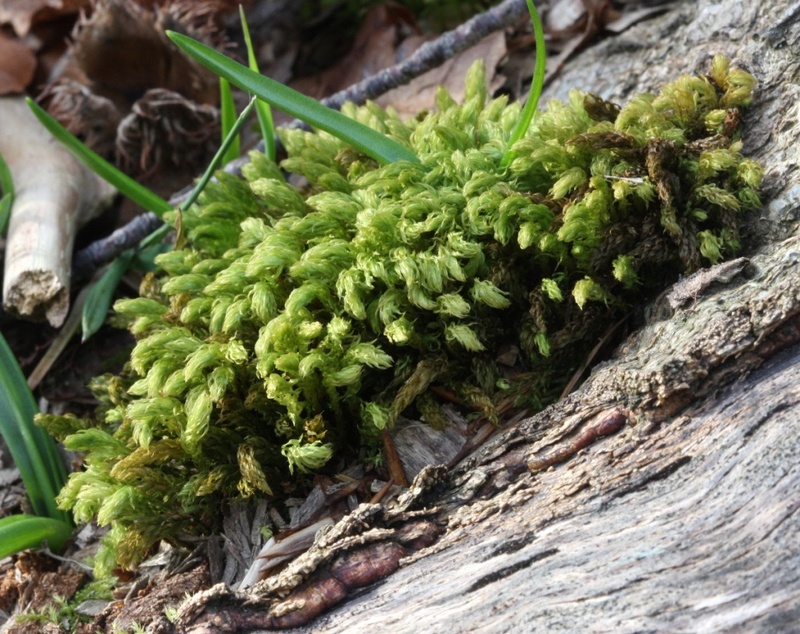 On acidic soil, logs, rocks and tree bases, often abundant in woodland; mainly lowland, but also in rather earthy crevices amongst rocks on mountains. 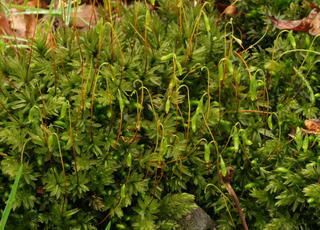 Frequent and widespread in Britain.